The International Monetary Fund, World Bank and the Asian Development Bank have expressed their support for the China-led international bank as the US now propose to work in partnership, according to the Wall Street Journal. 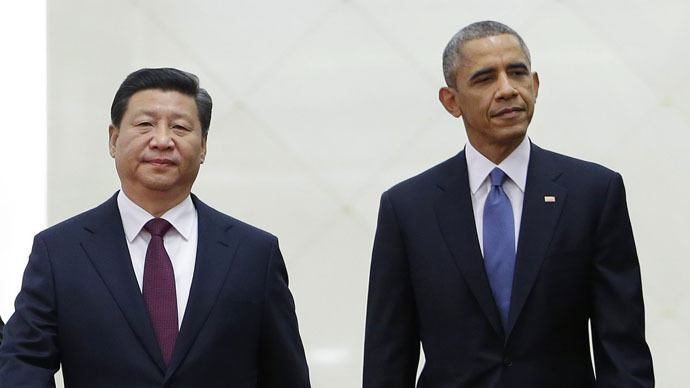 The Obama administration wants to use existing development banks to co-finance projects with Beijing’s new organization, the WSJ reported. This comes as Washington faced defiance from its major allies, which have been applying to join the Asia Infrastructure Investment Bank (AIIB) despite America’s warnings to stay away. “The US would welcome new multilateral institutions that strengthen the international financial architecture,” Nathan Sheets, US Treasury under-secretary for International Affairs was cited as saying. “Co-financing projects with existing institutions such as the World Bank or the Asian Development Bank will help ensure high quality, time-tested standards are maintained.” He added that co-financed projects would ensure the bank complements rather than competes with existing institutions. The leading global lenders have welcomed collaboration with the Asia Infrastructure Investment Bank, to fill the region’s infrastructure gap despite worries the new player will challenge the three global institutions, China’s news agency Xinhua reported on Monday. The IMF chief Christine Lagarde said the fund would be "delighted" to cooperate with the AIIB. She made her comments during a conference in Beijing on Sunday. There was "massive" room for IMF cooperation with the AIIB on infrastructure financing, Lagarde added. One of the World Bank’s leaders said on Sunday her institution would also cooperate with the China-led infrastructure bank. “Any new initiative that will mobilize funding in order to fill infrastructure gap is certainly welcome. World Bank really welcomes the AIIB initiative,” Sri Mulyani Indrawati, World Bank managing director, told Xinhua in an exclusive interview. She dismissed worries the AIIB will compete against the World Bank or existing regional development banks, saying the global need for infrastructure is huge and the market is large enough to accommodate the newcomer. ADB president Takehiko Nakao expressed similar confidence, noting the AIIB could help meet infrastructure investment demands in Asia if it manages to limit environmental impacts. The number of European countries ready to join the bank is growing. The AIIB has been courted by 27 prospective founding members, with the UK, France, Germany, Italy, Luxembourg and Switzerland recently applying. The application deadline for membership is March 31. China is planning for the AIIB to become operational before the end of 2015.